PERFECT FOR ANY SEASON AND ANY EVENT. 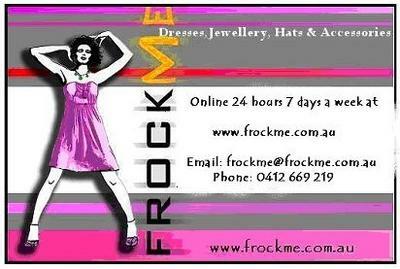 Born and bred in Darwin I decided to pursue my dream in fashion creating ‘Frockme’ (www.frockme.com.au) in June 2007. Frockme designs and creates custom made, one of a kind jewellery, using a wide variety of beads, gemstones and natural materials. We specialise in meeting individual client requests to make specific pieces to match special outfits. Frockme will have you frocked up in the latest trends. We have classy, beautiful, hot style dresses, tops, bottoms, hats and fascinators that will make you feel great. Some of the tops and all hats and fascinators are designed and made locally. The dresses are sourced from various Australian designers. Frockme aims to be one of the most exquisite, fashionable, online services for your dress and beaded jewellery requirements. 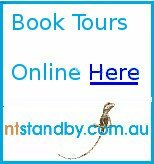 If you need more information feel free to send an email to frockme@frockme.com.au. FROCKME WILL GIVE YOU LOVELY, STUNNING, FASHIONBLE PIECES ALL WITH GREAT FRIENDLY RELIABLE SERVICE. I saw the jewellery last Saturday and i must say it is pretty special stuff! I wore my new outfit and necklace from frock me out that night and felt awesome. Lots of people commented on my necklace. I hope they find shopping at frock me as enjoyable as i did! It's about time Darwin had a shop full of unique jewellery and gorgeous dresses suitable for our climate. I like the fact that you can view everything online first, great shopping!